Start 2019 off right: join your Toptal colleagues for a special goal-setting meetup, January 29 at 7:00PM. As a Toptal member, you have access to a network of experienced and ambitious professionals at the tops of their fields. Use this network to your advantage in the new year. 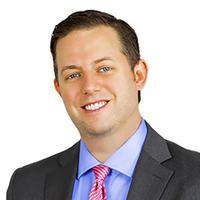 Your host is Chester Rodeheaver, a Toptal finance expert and Community Leader for Miami. Chester will lead a hands-on goal-setting exercise, where you’ll work collaboratively to clarify targets and set milestones for your personal and professional goals. We’ll also hold accountability meetups in April and July, to help keep each other motivated and on target. Space is limited. Please be sure to RSVP in order to receive the materials needed for the goal-setting exercise.